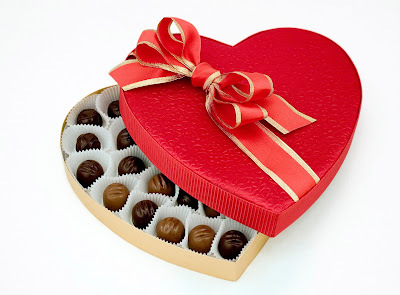 The origins of Valentine's Day trace back to the pagan fertility festival of Lupercalia held on February 15th honoring the gods Lupercus and Faunus, as well as the legendary Roman founders, Romulus and Remus. According to legend, in addition to a bountiful feast, Lupercalia festivities included a pairing of couples with all the young women in the city placing their names in a big urn to be drawn by the bachelors. It is believed that in an effort to "Christianize' this celebration, the church decided to honour Valentine who was put to death on 14th February for disobeying Emperor Claudius II by secretly performing marriage ceremonies. Valentine greetings have been popular as far back as the Middle Age and by the middle of the 18th century in England it was common for friends and lovers to exchange small tokens of affection or handwritten notes. So wherever you are in the world for this years Valentines Day put the mood of austerity aside and let the love flow for the person that matters in your life!